Find My Workspace lists over 95% of the business centres market in Leicester. Simply click Request Quote to check pricing for one office, or Add to Basket for multiple offices. 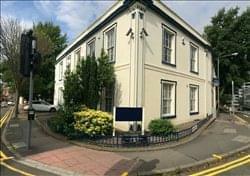 Recently refurbished, this former popular bar set in the heart of Leicester is now a modern, high spec workspace ready for immediate occupation. 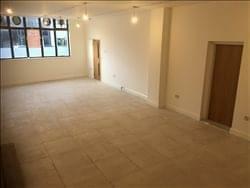 The centre is unfurnished and offers bespoke layout solutions, allowing you to mould the space to fit your own identity. With space for up to 50 desks, it is an ideal space for medium to large businesses. The space has a secure rear entrance which allows for a loading/unloading space and there is car parking within a stone’s throw. The space’s recent refurbishment has seen new wiring and tiling, as well as new plastering & decorating and toilet facilities installed. 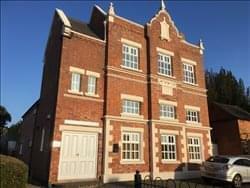 With its origins dating back to the 1850’s, this centre has been recently refurbished to an extremely high specification and now offers potential tenants premium offices with flexible terms. Though refurbished, the centre has magnificently retained the building’s original features, including exposed raw brickwork, timber beams and an abundance of natural light. These beautiful original features combine perfectly with the new contemporary stylish refurb. Offices are available in both smaller and larger sizes, and all have access to kitchen facilities – coming equipped with kettle, fridge and microwave – cleaning of common areas, high speed WiFi and CCTV. 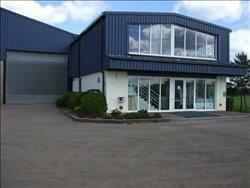 These modern first floor self contained offices are located in rural area with stunning views. These large offices offer 24 hour access, a meeting rooms, ample parking, kitchen area, lounge and plenty of storage. The office space itself can be used as an individual workstation or as open plan offices. The property is an attractive period style building which has been extensively modernised and is maintained to a very high standard situated in the heart of the professional area and a short walking distance to the city centre. The buildings has secure parking at the rear with electric gates and a visitors car parking space at the front of the building. A conference room is also available and the office sizes range from two desk to four desk. Please contact further to discuss the prices and any further information about the building.